The phrase "Local Color" can refer to a distinctive style native to a certain area. In Maine, lobstermen identify their fishing gear by individual color combinations painted on the buoys attached to their traps. 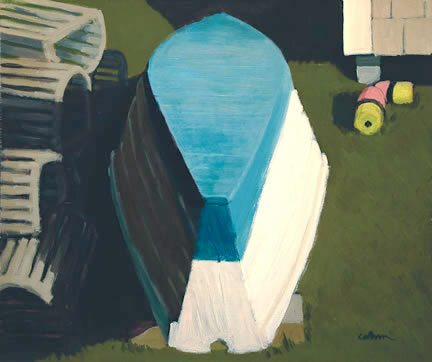 Taking the New England dory, rounded lobster traps and striped buoys as its subject, this painting exemplifies the duality of the phrase.